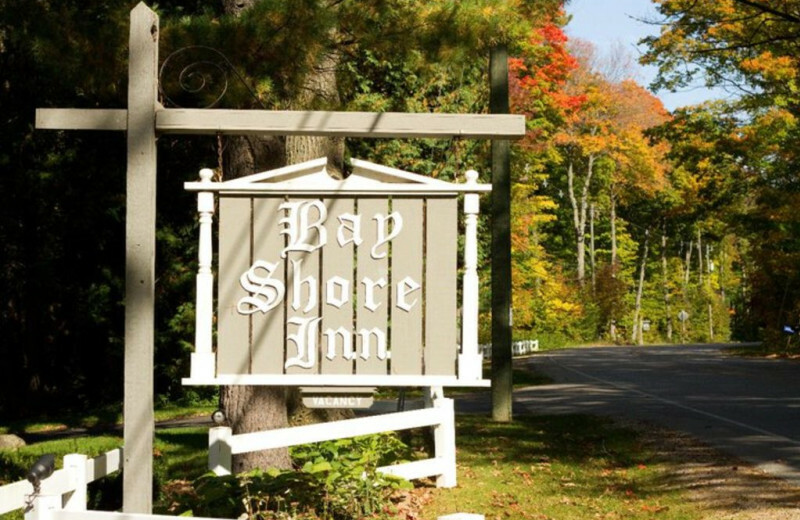 At Bay Shore Inn, you're sure to find the relaxing Door County vacation paradise you've been looking for. Thoughtful amenities add to the comfort of guests for this charming inn, including full-size kitchens, living rooms, king beds, Jacuzzi tubs and private decks for every suite. 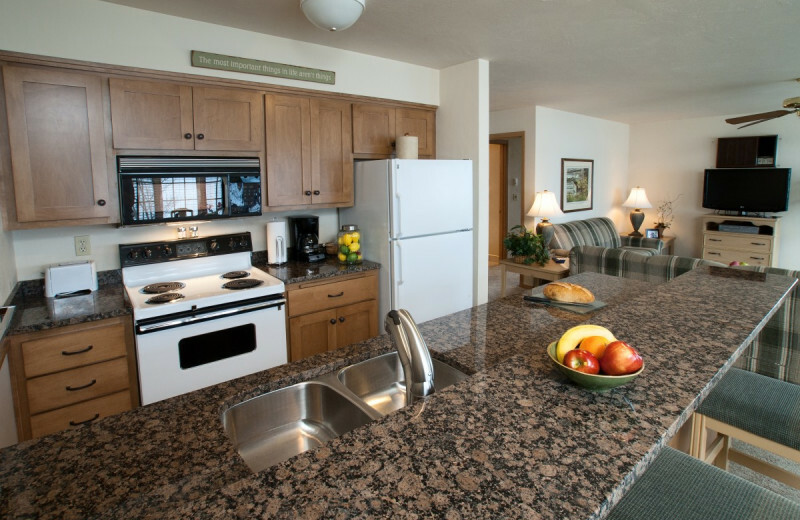 There's plenty to do during your stay, with indoor and outdoor pools, a private beach with boats and kayaks, campfire pit, a dock for fishing, tennis and basketball courts, and much more. Wanting to get a little more exercise in? 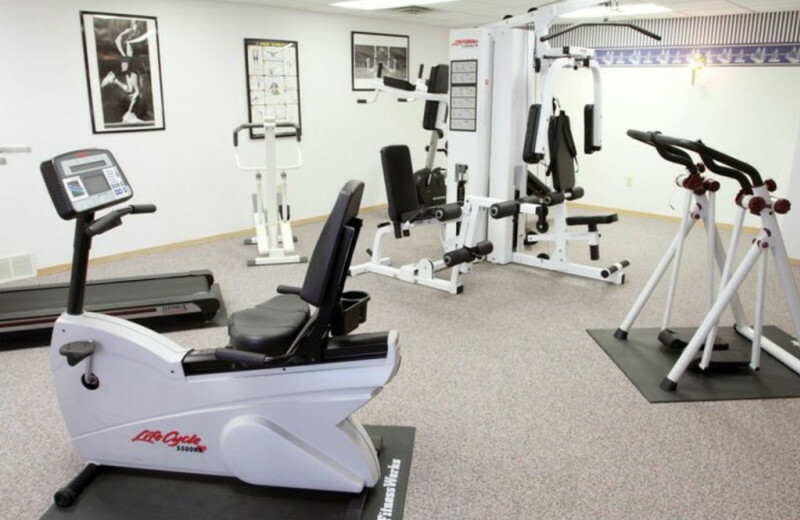 There's also a fitness center available! 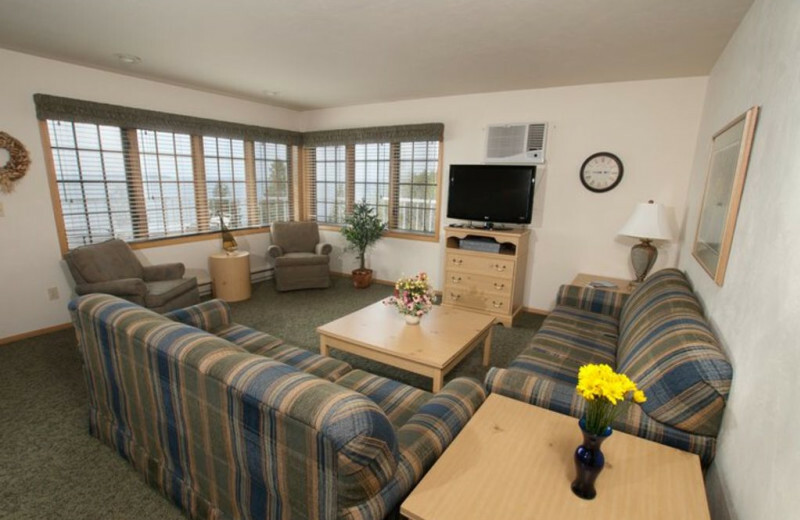 Bay Shore Inn has everything you need for a great vacation experience. 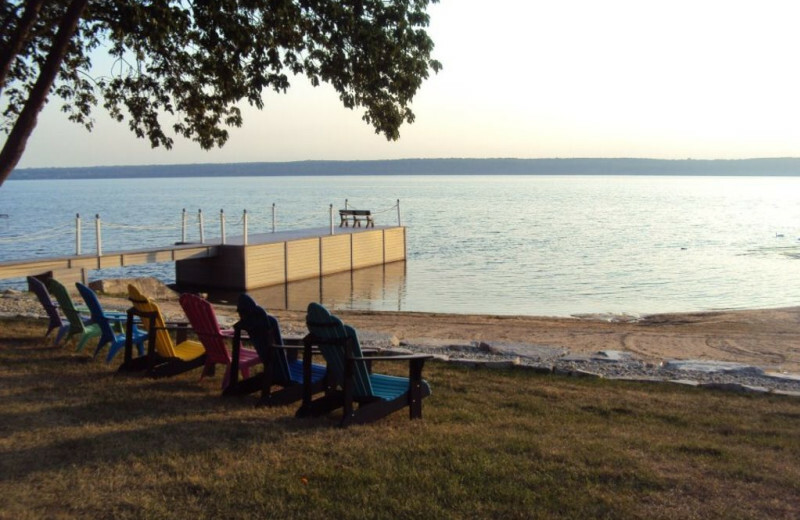 The Bay Shore Inn offers 600 feet of shoreline along the shores of Sturgeon Bay giving you easy access to these cool clear waters during your Door County getaway. Spend a day lounging on the beachside chairs, or make use of the complementary row boats and kayaks available for guests. 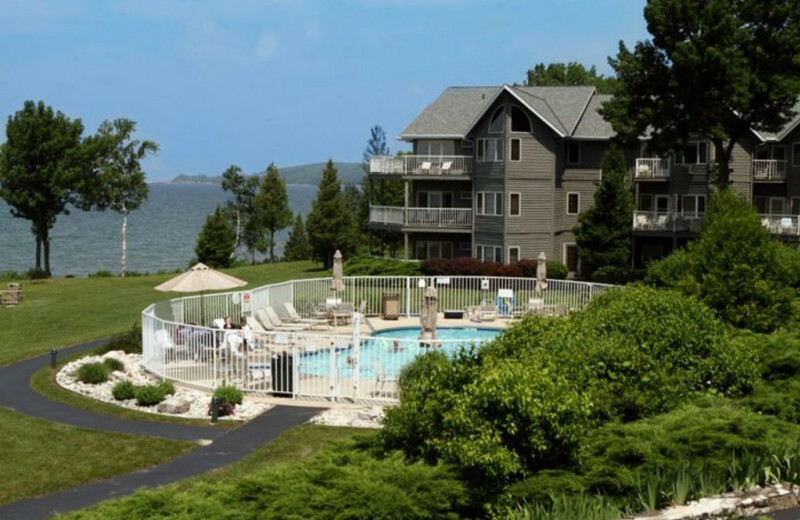 Make your next Wisconsin beach vacation outstanding when you plan your stay at the Bay Shore Inn. 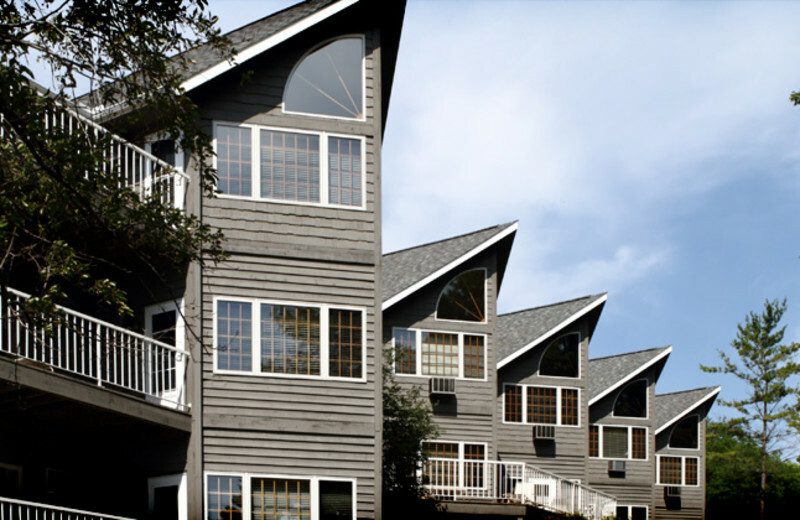 The whole family will enjoy their stay at Bay Shore Inn! There's plenty of things to fill your days, with a private beach, as well as tennis and basketball courts. You can also make use of the complimentary bikes, paddle boats, kayaks and row boats! 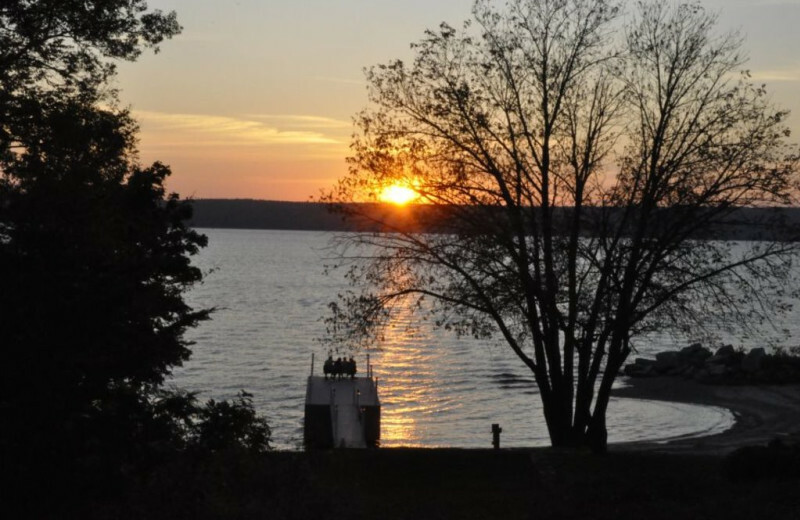 You're sure to make unforgettable memories at this Wisconsin destination! 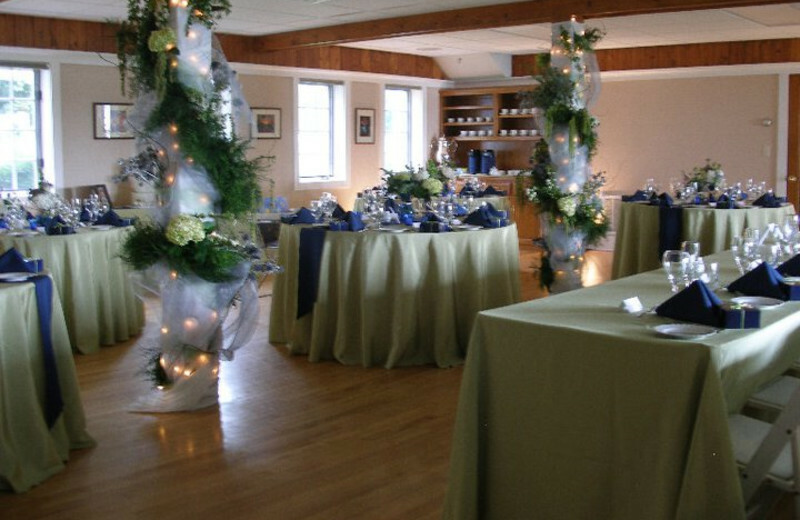 Fondly referred to as the Cape Cod of the Midwest, your destination wedding will be a stunning event at Bay Shore Inn. 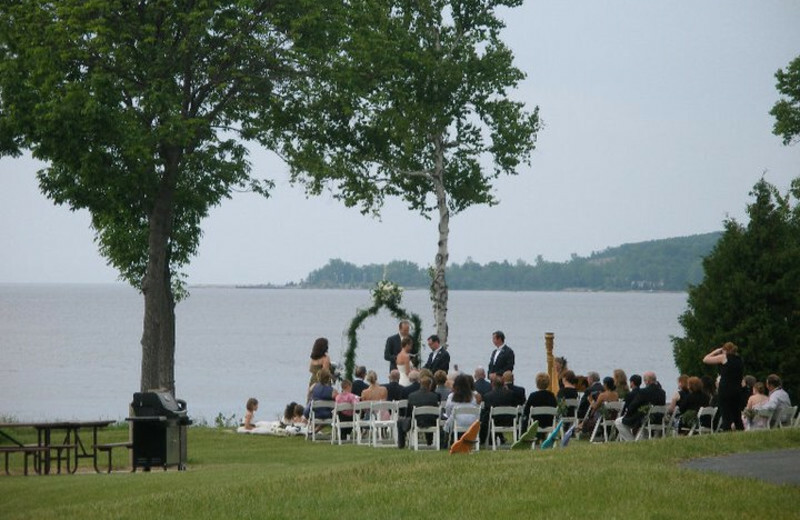 The beauty of Door County creates a breathtaking back drop for an outdoor ceremony, or you can enjoy an indoor ceremony in the lodge. Celebrate your big day with up to 60 guests! Their professional staff will help you plan all the details so your big day can go off without a hitch! 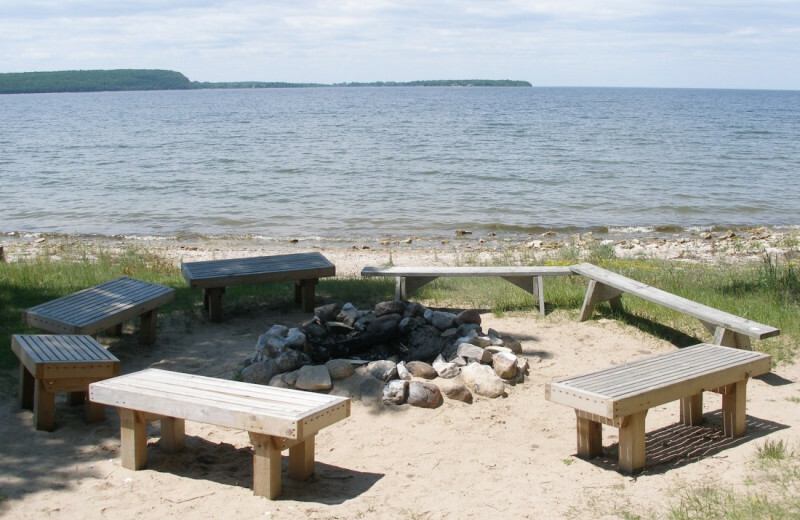 Sturgeon Bay and surrounding Door County offer a bevy of outdoor activities to enjoy during your stay at Bay Shore Inn. Whether you are utilizing the complementary canoes and row boats available at the inn, or you charter a boat trip around the bay, it's easy to explore these picturesque waters. Make sure to bring your fishing pole along as this is a premier spot for bass fishing. If you prefer adventures on dry land, visit one of the 10 nearby county parks or Potawatomi State Park and hiking or bike on miles of well-groomed trails. The waters of Sturgeon Bay offer some of the finest fishing the Midwest has to offer, making Bay Shore Inn the perfect spot to plan your next Wisconsin fishing vacation! 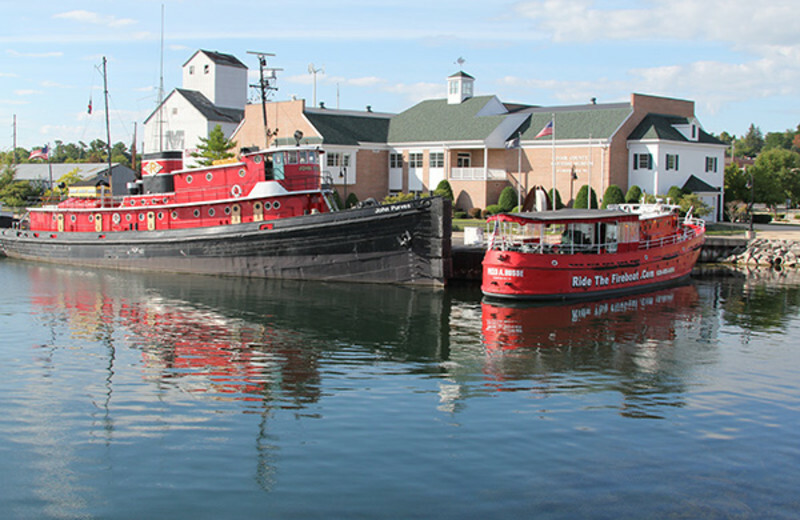 While the lakeside of Sturgeon Bay offers Chinook salmon, steelhead, and trout opportunities, the bayside is known for heavy populations of northern pike, walleye, perch, and musky. Whether it's your first time casting, or you're auditioning for the professional angler's tour, Bay Shore Inn offers a fishing experience you won't soon forget. Relish the feeling of timeless romance at Bay Shore Inn. 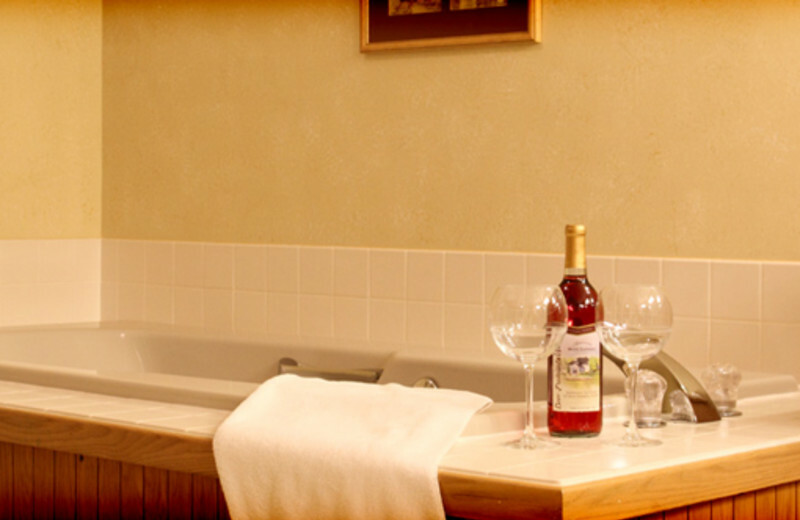 You and your special someone can enjoy beautiful accommodations during your stay, with private deck and a Jacuzzi tub! 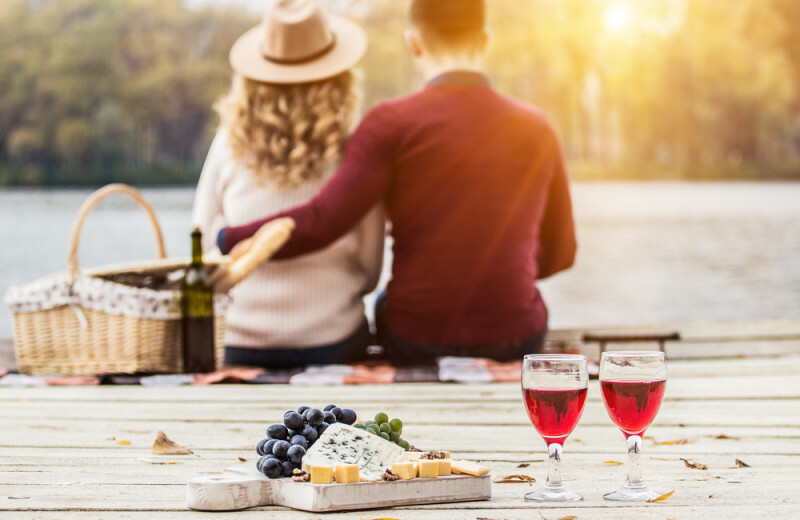 Door County has so much to offer right outside your door for romance too; explore the many shops and restaurants, unwind on the shores of Sturgeon Bay, and much more! 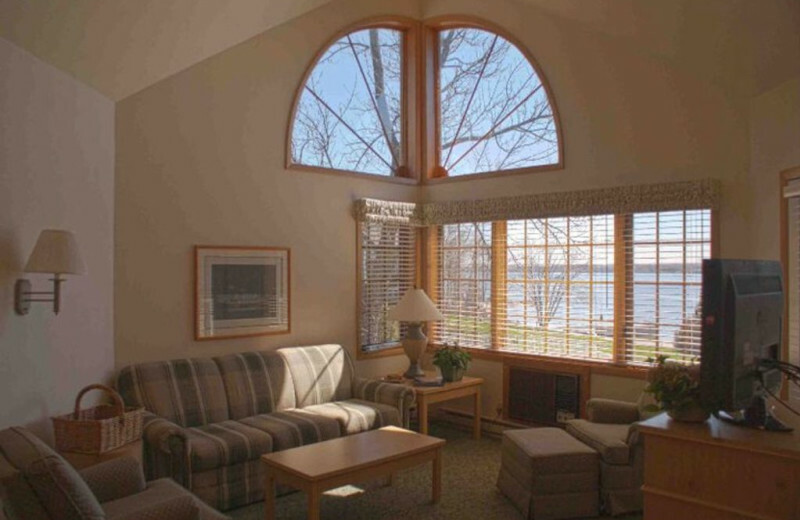 While staying in Sturgeon Bay, the Bay Shore Inn has every luxury you could possibly ask for. 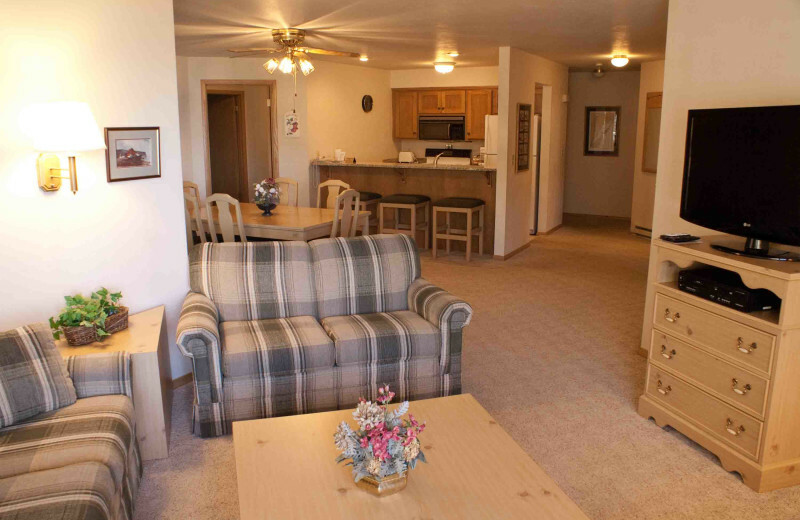 While here, enjoy full-size kitchens, living rooms, king beds, and Jacuzzi tubs in your private accommodations. 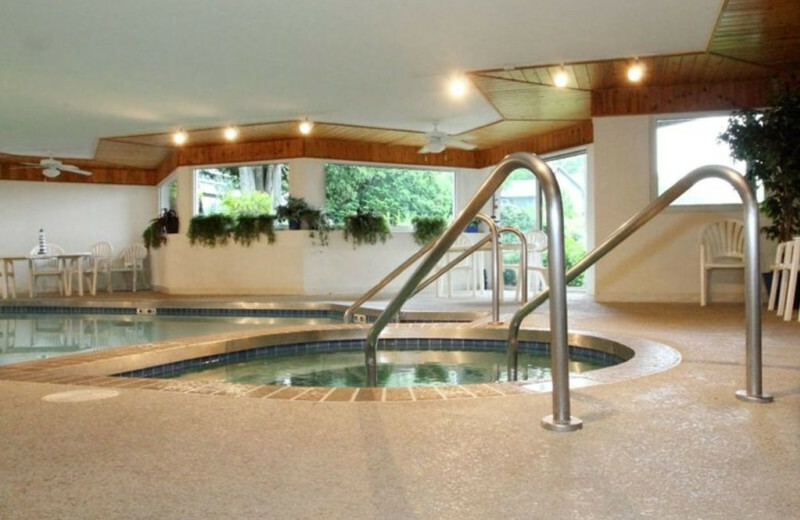 The Inn has a fitness center and access to its own private beach! 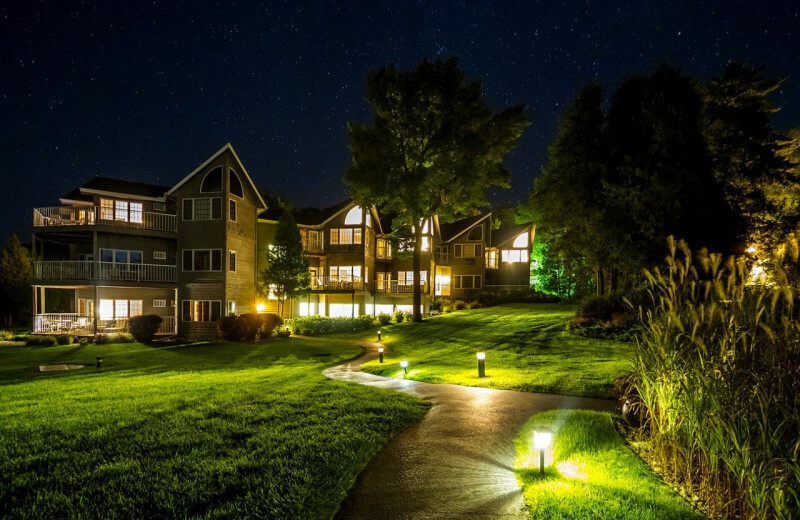 The Inn puts you right in the heart of Door County, and has access to Lake Michigan and all of the culture this quaint Wisconsin location has to offer. 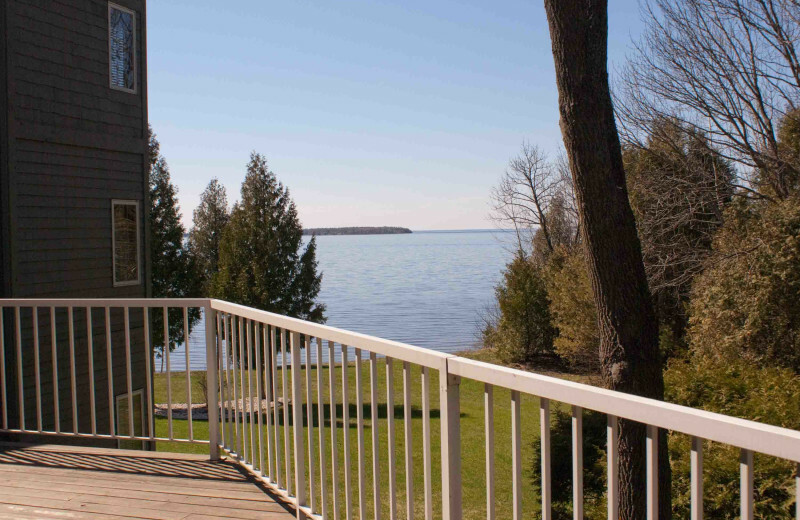 As the "Cape Cod" of the Midwest, Door County is the perfect place to experience an unforgettable lake vacation. 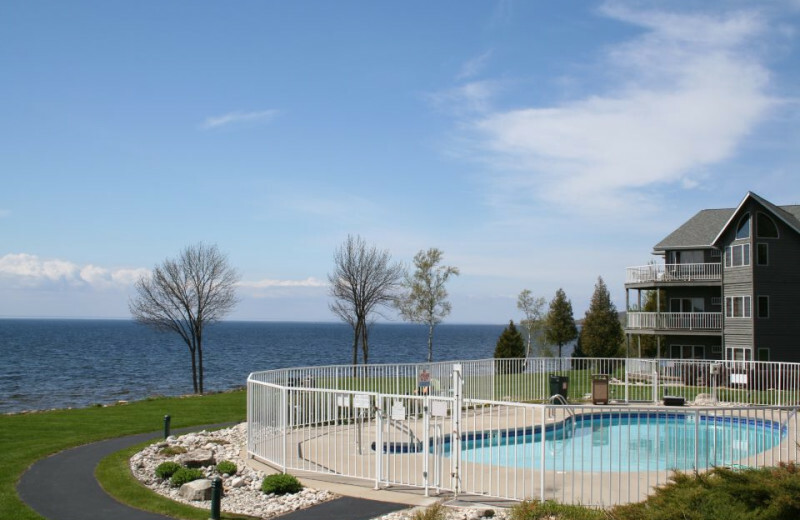 At Bay Shore Inn you're right on the shores of beautiful Sturgeon Bay, making it easy to get out and explore the waters however you want. 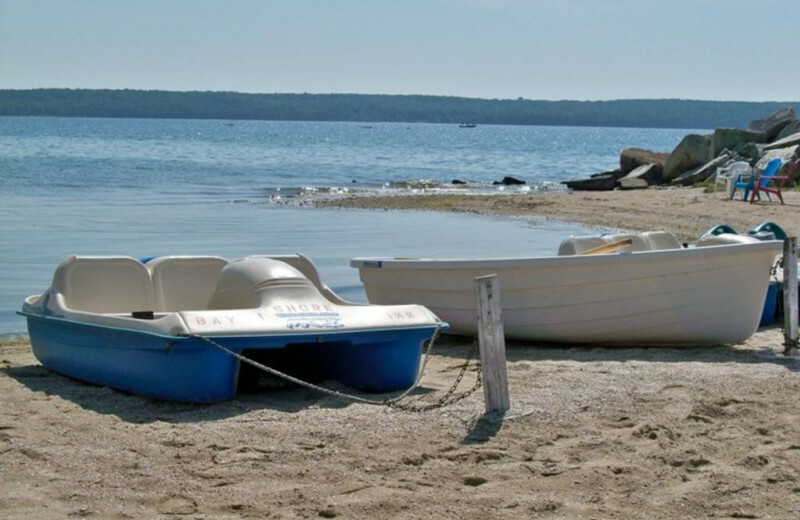 Fishing and boating trips are ever popular, or you can simply lounge on the beach and take in the views! 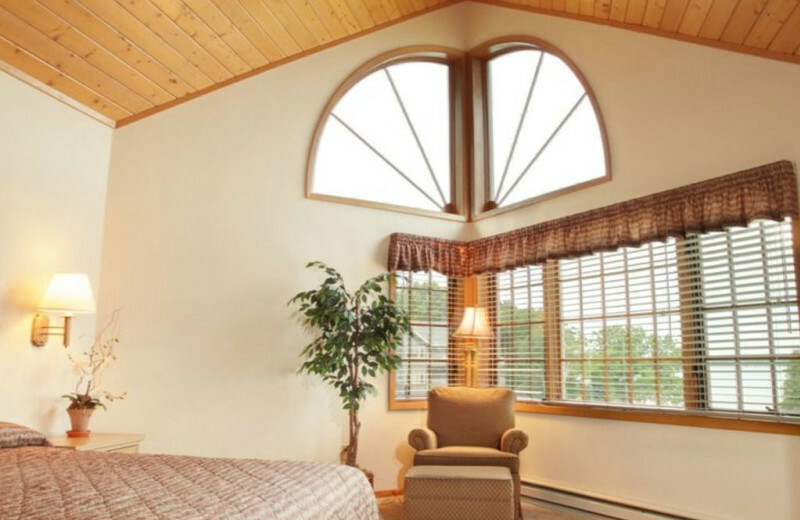 Your spacious suite at Bay Shore Inn is a vacation in itself, whether you watch the sunset from your private deck, stay in and cook your own dinner, or relax in the Jacuzzi tub, you can get away from it all here. 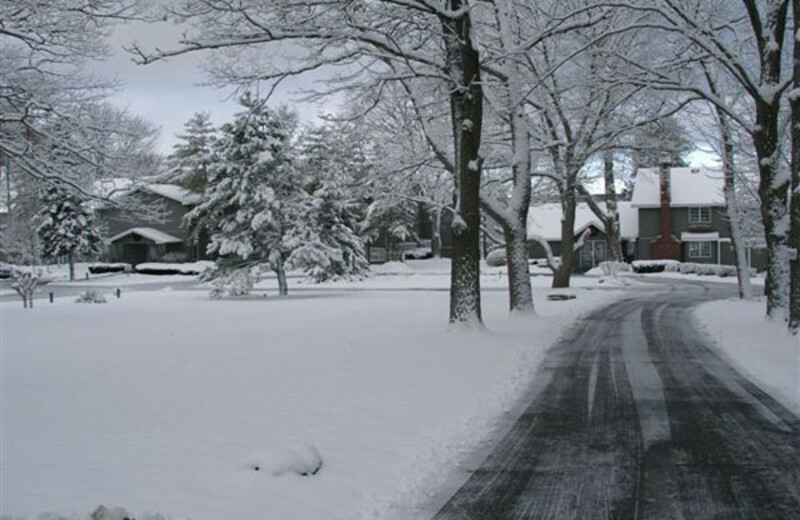 Door County offers a beautiful destination to retreat to following your big day! Kick off your lives together the right way at Bay Shore Inn! 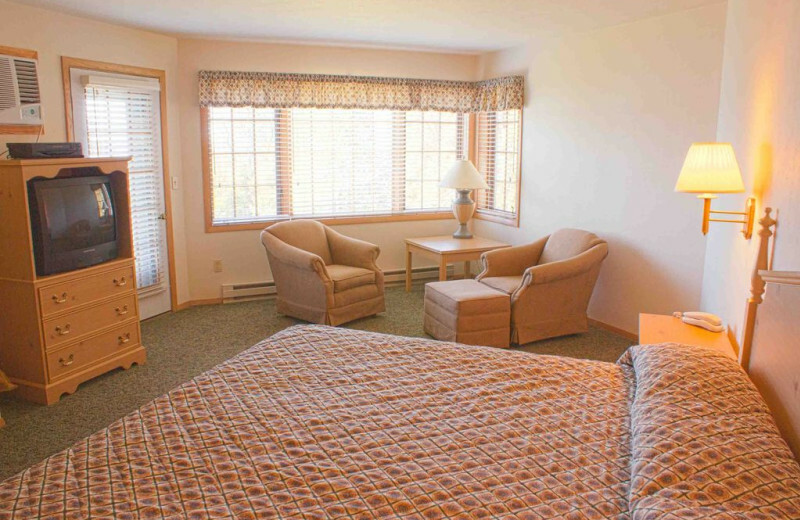 The three-bedroom cottage available at Bay Shore Inn is a great option for a larger family. It has its own deck with an outdoor grill available. The full-size kitchen, dinette, living room with sleeper sofa and two full baths makes this a great family gathering place for six to eight people. 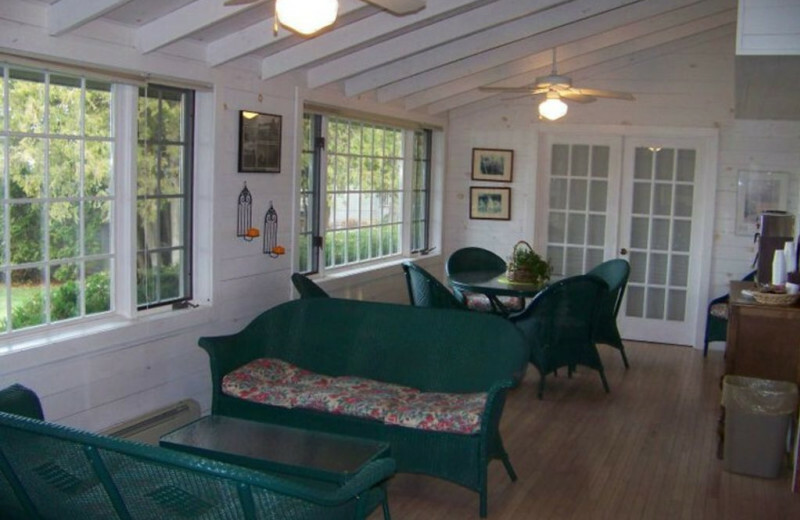 The Bay Shore Inn has one- and two-bedroom water view suites available. 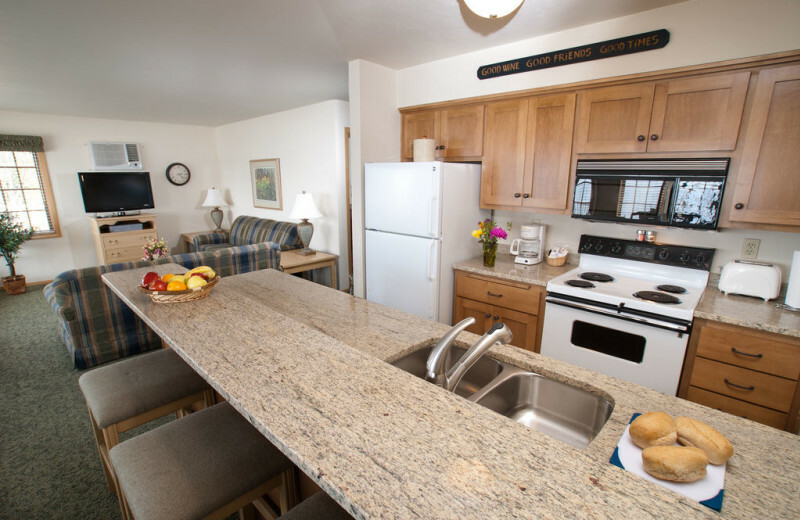 They come stocked with fully-equipped kitchens, Jacuzzi tubs and separate showers, new King beds, living rooms with sleeper sofas, new HD televisions, private decks to watch the sunset from, and complimentary DVDs, books, and games. 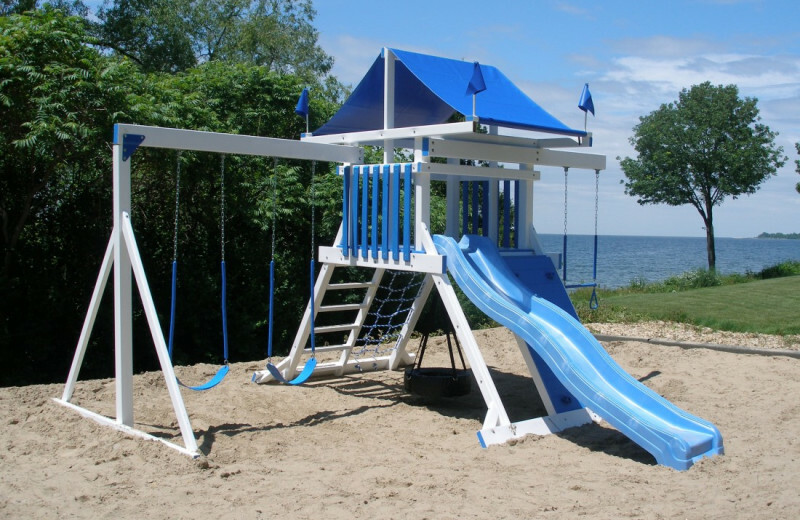 Make Wisconsin's charming Door County your next family destination! 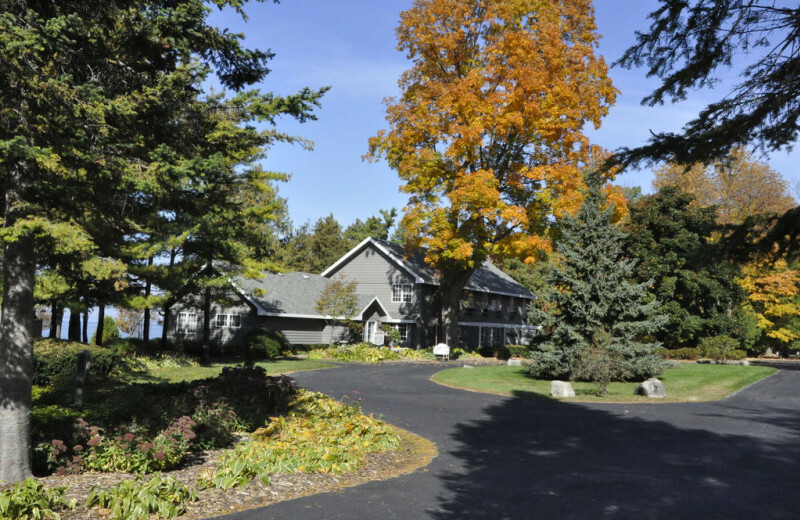 This property is ranked number 5 on Best Door County Romantic Getaways & Vacations. Read about it here.